Would you like to try MongoDB Atlas for free? 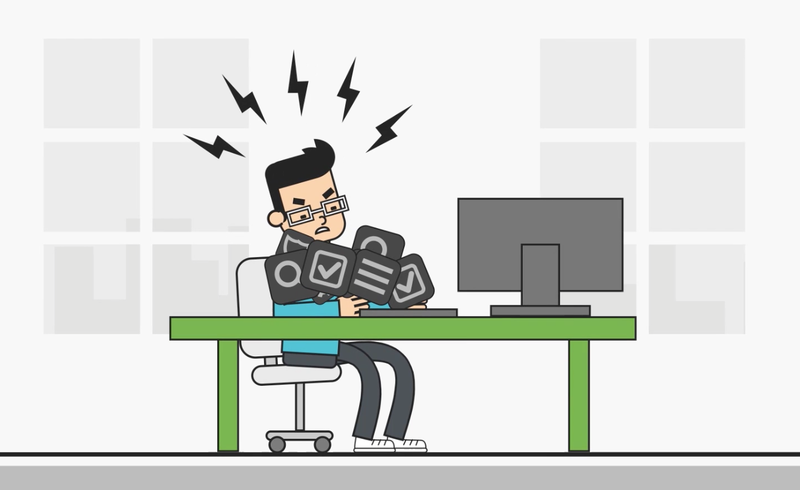 For an app developer, MongoDB covers a ton of features that would usually slow down the time it takes to generate an app. We started realizing something amazing about this database. Maybe it’s easier than it appears, and doesn’t require a ton of programming, which opens it up to being used across millions of businesses that are currently stuck in the excel, CSV, workflows! Also, there is a free version that offers immediate access to a 3 node clustered, HA, etc.. Database. I know I said some technical stuff, but that doesn’t mean the installation is technical, which enables usage for any non-techy-business-peep. Disclaimer: MongoDB did not pay me to write this, I’m writing this because I believe I have a different way of looking at content. If mongo would like to pay me, go ahead and head over to my website and contact me. I like money. Hopefully, by the end of this series, I will have a reporting database, a not so technical approach, and help discourage the current rumors surrounding the MongoDB database technology. Worst case scenario, it will get too complex, and I will have to depend on a full stack developer to break it down in an easy to understand format, teach me it, and I will break it down even further. Do you want to begin? Start here and signup to mongoDB atlas. Everything below this is my opinion on why it’s considered complex. With helpful information regarding the technology. Mongo DB takes away the clutter of app development! What about CSVs? 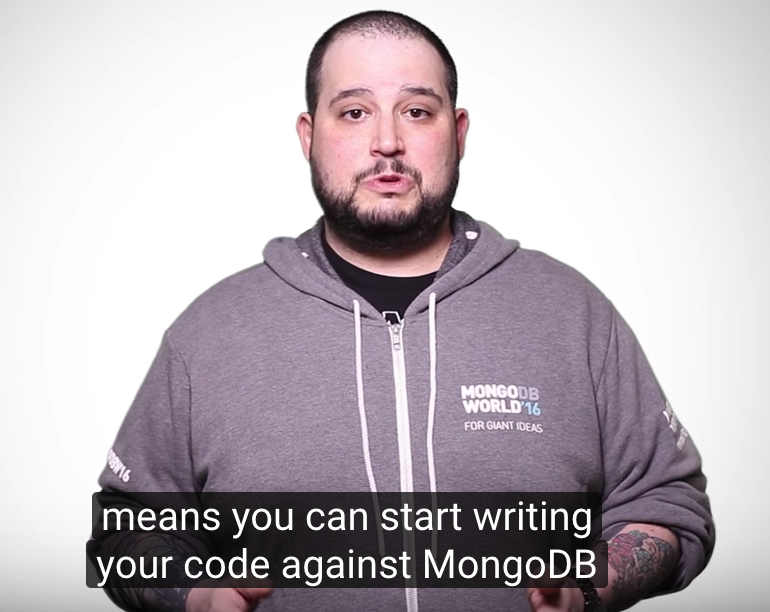 MongoDB Intro video, to the latest MongoDB Atlas, and this is not generated for anyone doing business intelligence. I think a lot of people will likely not consider MongoDB because the website looks a bit complex, their core customer target is clearly app developers, and that’s going to be off-putting to a casual user. I do believe writing this content will help me learn a bit of these complex and also give me something to do while I’m looking for a new opportunity. My hypothesis is that a non-technical user can manage and administrate MongoDB without the need for a full stack developer. That’s right, I have high hopes for the least technical users. And if we need a full stack developer for any piece, I hope to help automate every process you need or explain exactly what is necessary to get past the tech-hurdle. Woohoo! The MongoDB Website looks a little complex. Almost every landing page has a complex configuration of artwork and most non-technical users will flee or at least have one single takeaway. “MongoDB is complex!” If you’re just looking to build faster analysis… There is a really good chance you will think you’re in the wrong place. As cool as this looks — anyone worried about ‘too complex’ will bounce on the main page, www.mongodb.com is not business user ready. MongoDB’s website uses words like; development, high availability, clustering, apps, and the worst word of them all.. code!!! In the most basic and free installation on MongoDB’s, MongoDB Atlas, they use a lot of technical words, even though there is absolutely no programming required upfront. MongoDB comes with a video walkthrough — If you’re interested in watching a step by step process, you will be kicked over for starting a twenty video series. A massive number of videos to jump in and use something free, but that is where I come in. In case you’re wondering — your MongoDB evangelist is Jay. The walkthrough starts off by sounding a little complex. On the second video in a 20 video series, I think I found the main reason most end users in the non-developer world, will run the hell away and resort to sticking with what they know is easy… Like a CSV farm, pivot table mazes, and good old EXCEL. Code against MongoDB? Can it just be a standalone database solution? Will it require programming? Maybe MongoDB isn’t a ‘code only database.’ That’s what I hope this series will provide. Personally, I’ve known about MongoDB through the grapevine of non-technical SaaS salespeople, executives with SaaS salespeople speaking to them daily, and front end software experts who will scrape the MongoDB website and potentially make a lot of incorrect assumptions. Truthfully, I’ve listened to thousands of people talk about data products and very few who have actually used the product or even consumed the website. Here’s what people have been saying about MongoDB. MongoDB is only for apps. I’m telling you what others have told me while working client engagements or while working at Tableau Software. My 2cents on MongoDB website, verbiage, and branding. 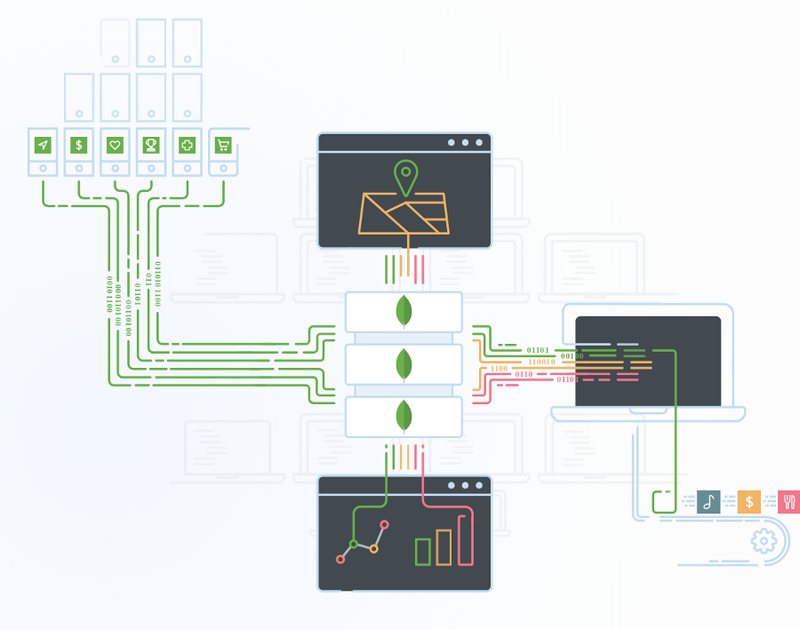 MongoDB is not for a regular-old-business-user just yet. MongoDB has not been on the tip of many spears when offering consulting advice. Which will be negative because most small companies are sitting on a mountain of data and I believe most, if not all, will benefit from utilizing MongoDB Atlas or at least giving it a swing. A lot of the MongoDB pitch or verbiage coming from the tutorials, website, and documentation — IMO, has generated a bit of confusion for any non-technical business user or even a semi-technical database expert. A large user group should not skip this solution… That user base will be those who don’t know how a database works, don’t know SQL, and think JSON is an entire programming language but are super good at PowerBI, Tableau, Qlik, and a bunch of other clicks to win software. Maybe MongoDB is easy, maybe it’s so easy every single small or medium business in the world could be using this instead of their CSV or EXCEL farm. Let’s find out! My next writing will be about setting up MongoDB as quickly as possible. And figuring out the granular details to making it be our reporting database. So, I want to write a quick tutorial from point A to point B regarding MongoDB’s Atlas database. 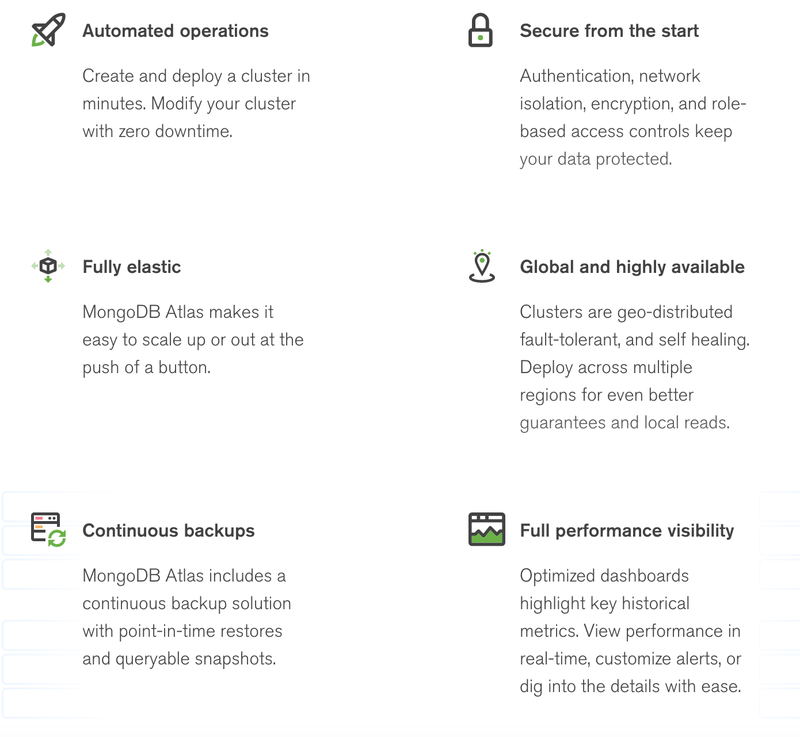 MongoDB is free and auto-generates on an AWS instance; clustered, with high availability, packed with security, and easy to scale. I’m not exactly sure how long it will be free but if it stays free — maybe it will be a cool place to drop data sets and let it be publicly accessible. MongoDB stores data in flexible, JSON-like documents, meaning fields can vary from document to document and data structure can be changed over time. JSON is not a programming language! The part of a database that is responsible for managing how data is stored and accessed, both in memory and on disk. Different storage engines perform better for specific workloads. See: Storage Engines for specific details on the built-in storage engines in MongoDB. Links for the rest are coming soon. If you’re looking to jump ahead, go to the Atlas page, and fill out the form. Watch the videos, do the click through, and have fun! Oh, and good luck, I’m not guaranteeing this will help you or your clients! Rather, I’m eager to work through it and live blog while I do it. Continued read: If you’re not a-super-techie — DON’T SKIP or SCAN… And I’ve worked with thousands of techie people with super techie titles and you pretty much all scan and act like you just robot consumed 100%, but generally speaking — you’re skipping the most important content and troubleshooting easy fixes. TLDR 🙂 — but you should have.